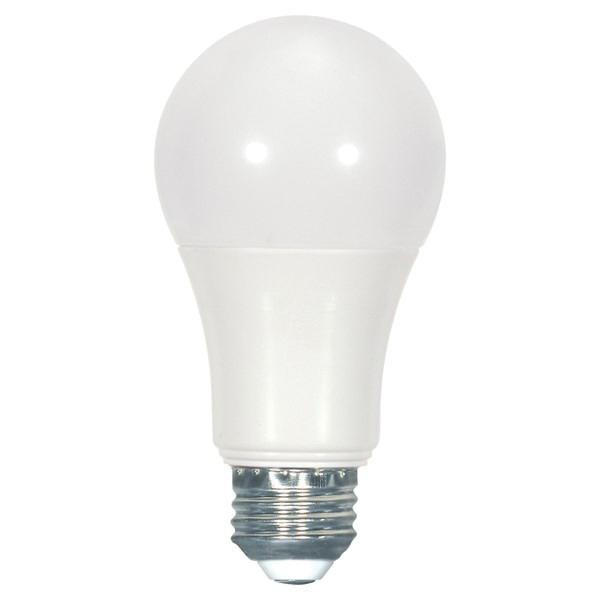 Satco 9.6-Watt E26 Medium A-19 LED lamp offers 806 initial Lumens for crisp light output. It has color rendering index of 80. Lamp with 2700K color temperature rating radiates warm white light to the surrounding. It has voltage rating of 120-Volts. Lamp in frosted finish, comes with average life of 25000 hours. It emits or distributes light at beam angle of 240-degree. This lamp has overall length of 4-5/8-inches. It is perfect for indoor residential and commercial lighting, downlighting, display lighting and accent lighting. Lamp is UL/ETL listed and RoHS compliant. * Inventory displayed is accurate as of 04/20/2019 02:40 PDT.